Many men as well as some women suffer from thinning hair and hair loss, also called alopecia. At Natural Foundations, Dr. Lonna Larsh and her professional team offer PRP hair Growth Therapy to improve patients’ lives in Santa Cruz, Capitola, and surrounding areas. Natural Foundations is an experienced provider offering this innovative procedure on California’s Central Coast. What is PRP Hair Growth Therapy? The abbreviation PRP means platelet-rich plasma, which is concentrated blood plasma, blood platelets without red blood cells. For treating hair loss and thinning hair, a very high amount of blood platelets, growth factors and proteins in the PRP are crucial. 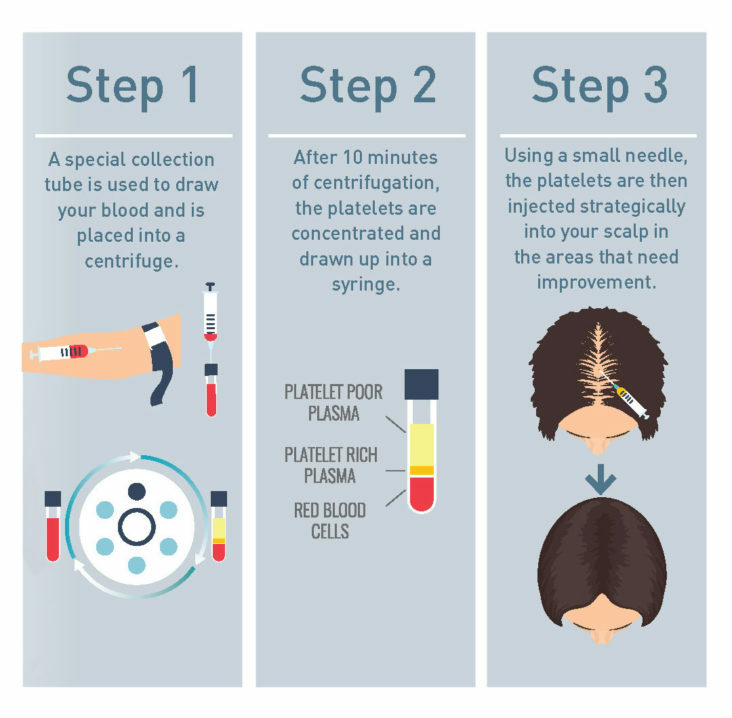 Platelet-rich plasma (PRP) from the patient is collected and centrifuged, and then re-injected into the hair follicles. This promotes the formation of new cells, and stimulates hair growth for a healthier scalp and fuller looking hair. PRP Therapy for hair is designed to increase hair density, so patients will feel complete again, and do not need to be embarrassed by thin hair anymore. How Does PRP Hair Growth Therapy Work? Natural Foundations will collect your body’s own platelets by drawing a small amount of blood, which usually takes 10-15 minutes. The components of your own blood will then be separated in a special centrifuge, where plasma and the platelets are concentrated into an injectable form. Then only the PRP is re-injected into the areas of your scalp affected by hair loss. The PRP treatment takes as little as 3-5 minutes. Since some patients may experience be some sensitivity, most physicians use anesthetic solutions, such as a topical analgesic or cold air to minimize any discomfort. Platelets contain growth factors that are able to signal your tissue to multiply and regenerate. PRP has been used in different fields of medicine for wound healing, speeding up recovery time, and growing stronger and healthier tissue. Originally, PRP Therapy was only applied to improve the growth of newly transplanted hairs, with great success. Doctors have recently discovered the benefits or PRP for treating thinning hair and hair loss. 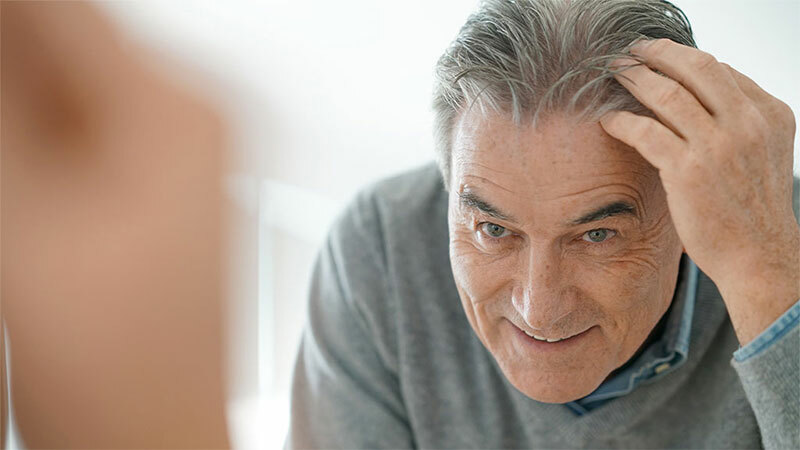 With PRP for hair, your growth factors and stem cells work together to reverse the aging of the hair follicle, resulting in thicker hair shafts and increased hair growth. Natural Foundations will customize each PRP treatment to your individual needs. Several sessions may be recommended, with treatments spaced 1 month apart. Some patients return for maintenance treatments 1-2 times a year, for lasting results. The PRP therapy typically shows excellent effects in the strengthening of the hair. First results after the PRP treatment are visible after about 4-5 weeks – new hair needs about 4 weeks to grow 1 cm. The final outcome of PRP therapy is reached after approximately three months. In many cases, the first treatment leads to an excellent increase in hair growth. However, it is often recommended to go through several treatments. In a personal consultation with the physician, patients will discuss the appropriate treatment plan. There is no downtime or a long recovery process. Patients may take a warm shower the evening of the therapy, but should avoid using any harsh shampoos or chemicals on their hair for at least 48 hours. Is PRP Hair Growth Therapy Right For Me? This treatment is an excellent choice for men and women suffering from thin hair and hair loss (alopecia). It is a perfect alternative for patients who are not interested in other correcting methods such as toupees, wigs, or prescription products. It is a minimally invasive solution for improving the signs of aging by stimulating hair growth. For best clinical results, we at Natural Foundations medical spa customize the procedure to your individual requirements. During a thorough consultation, patients will get to know all the details prior to the procedure. We ensure that at our medical office you receive the most comprehensive information, attention, and care when undergoing PRP therapy.